Remember the good old days when you owned Cabbage Patch Kids and Rubik’s Cubes? Listened to Madonna and Bon Jovi? Wore Owned LA Gear and Reebok Pumps? Watched Full House and Gremlins? Played Hungry Hungry Hippos and Donkey Kong? 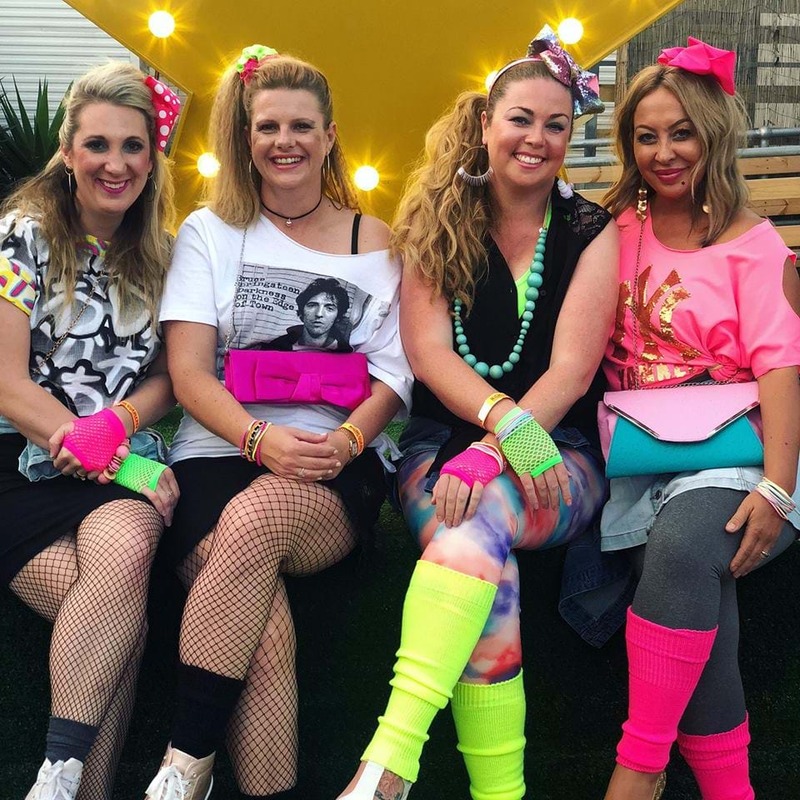 Well, this weekend, NightQuarter’s bringing back the big hair, big hits and big fun as they celebrate the period that gave us Michael Jackson, Pac-Man and Lady Di’s wedding with The ‘80s Party. Dance the night away with Madonna's classic 80s bangers. Photo credit: Vogue. Jam-packed with nostalgia, there’ll be everything from dress-up competitions with prizes (get that hairspray ready!) to classic cocktail and food favourites of the time. In fact, the entire market is transforming into a throwback festival to have you partying like it’s 1989. Plus, if you were quick enough to nab the now sold-out tickets to Saturday night’s Never Ending ‘80s musical extravaganza, you’ll be dancing and singing along to the soundtrack of the decade with tunes from Cyndi Lauper, INXS, Whitney Houston and many more. Pull out the big hair and tight lyrca for this weekends 80s Party at NightQuarter. Photo: NightQuarter. For those of us who still secretly own a turtleneck and fluorescent workout Lycra, play the air-sax whenever we hear Careless Whisper, and smugly demand “Don’t call me Shirley” every so often, this is the party to be at. Make sure you don’t miss it. Make sure you don’t miss this. The ‘80s Party is being held at NightQuarter from 4pm Saturday the 24th of November. Entry is $3 and can be purchased from the gate on the night. Kids 12 and under are free. For more information visit the NightQuarter website here or follow the event page here.